1. No matter how many times people accuse you of your potty mouth, you will still use BC and MC in every sentence. 2. Outsiders are often mesmerized with your superlative haggling skills in Sarojini Nagar and Palika Bazaar. 3. You're perpetually confused about whether to hate Delhi's scorching summers or its unbearable winters more. 4. But harsh climate are also your blessings in disguise as it promises week-long closure of schools by the government. Smog contributes to this boon. 5. You pin your hopes more on cycle-rickshaws and e-rickshaws to reach your home rather than plodding through the congested streets yourself. 6. You're mostly surviving on chole bhature, momos, and gol gappas half the day. 7. And if there's still any space left in your stomach, you might even mercilessly try shoving these into your mouth. 8. You realize the importance of oxygen every time you board the metro in Rajiv Chowk. 9. Since you don't get to spot Bollywood celebrities a lot, catching glimpses of political bigwigs gives you thrill instead. 10. Every summer vacation is spent exploring the same old Shimla, Manali, or Kasauli. 11. 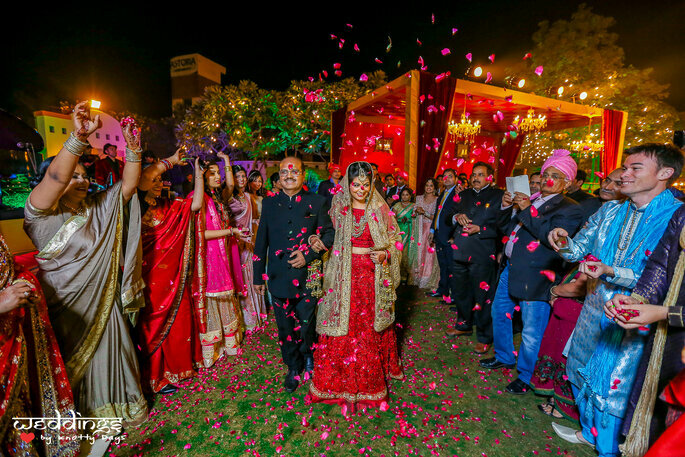 No one gets your over excitement for big fat weddings other than a high-strung Delhiite. 12. And misery sweeps over you whenever news of DU cut off list starts flashing around. 13. You identify all south Delhiite as swanky snobs. But you can't secretly help but feel little envious of them. 14. If you ever go to Noida or Gurugram post 8 P.M, you always make sure to arm yourself with all these. 15. You patriotism is more vigorous on Independence and Republic Day than usual. 16. Every time someone lauds Mumbai over Delhi, you secretly start scheming ways to wipe them off the planet. 17. You realize you've taken all the architecture around you for granted till a newcomer asks to be taken around. 18. No matter how things go here, Delhi will always be "dil walon ki".